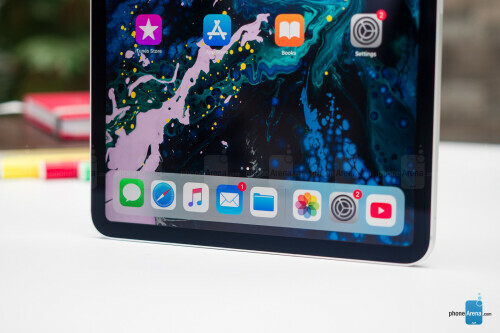 As it’s not yet entirely clear what will ultimately become of the tablet category, Apple’s iPad business continues to rake in a small fortune each quarter. The iPad has long changed, though. It's no longer that $500 device that some people called a supersized iPod Touch. 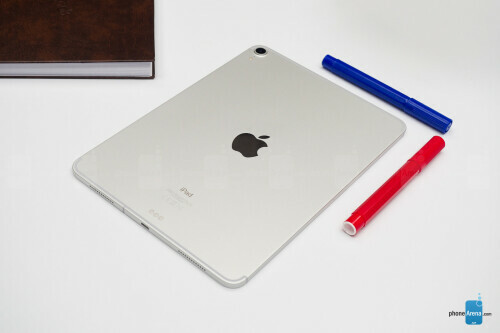 It has since evolved into a more complex line-up that has tried to achieve bigger things, such as becoming an always-with-you digital notepad with support for the Apple Pencil, or encroaching into laptop territory with performance that's not typically expected out of such a portable form-factor. 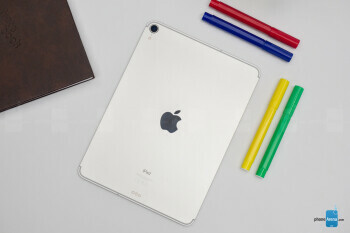 Nowadays, things are way more complicated for the iPad line. 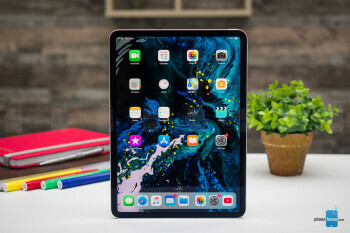 There is an affordable 9.7” iPad starting at $329, a 10.5” iPad Pro from $649 (from last year), and then there are the brand new iPad Pro 11” and 12.9” which just hit the market, and start from $799 for a base, 64GB iPad Pro 11”, and go all the way up to the exorbitant $1899 for a fully stacked iPad Pro 12.9” with 1 TB of storage and cellular connectivity. In this peculiar landscape, it seems the iPad no longer wants to be just a jolly multimedia device. It's trying to be a lot of different things to different people, and to seriously threaten those consumer notebooks out there. But does this advanced iOS machine have what it takes to replace your PC? The new iPad Pro 11" and 12.9" (we're testing the 11" one) has a new design, where the body has flat, instead of rounded, sides, and those shiny chamfered edges from the front are gone, which is a win for ergonomics, as the new edges aren't as sharp. The overall aesthetic is somewhat reminiscent of the original iPad, but of course, the new device is dramatically thinner and lighter. It feels great! 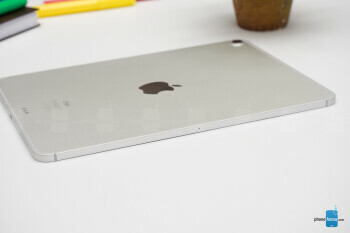 It's quite big, even the 11" one, but the incredibly thin profile means it doesn't feel overwhelming. Appearance-wise, it's quite interesting. This new model is less elegant than its predecessors, and with those unapologetic antenna lines, it's actually quite spartan-looking. It's hard to call this new iPad Pro (2018) beautiful, but it sure is impressive in terms of physical properties. A notable new feature is that there's no longer a Lightning port here, replaced by standard USB Type-C. This is an important change, because it means you can now connect various devices to the iPad, such as cameras, for example. 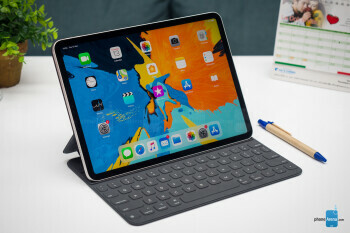 However, these devices still need to be optimized for iOS use, and that extends to external storage devices, so you can't really treat this new iPad Pro as a normal computer in that regard, at least not yet. There are very real limitations in terms of what you can connect and what is going to work. 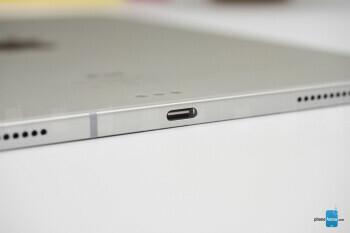 There is also no 3.5mm headphone jack on the iPad Pro 11" and 12.9", and there are no EarPods in the box. Considering the available port is now USB Type C, you'll be better off reaching for a pair of Bluetooth earphones, such as Apple's AirPods. The good news is that at least the speakers are pretty great, so it won't be like you absolutely need to connect headphones in order to enjoy good audio with the iPad Pro. Compared to the latest stereo speakers on an iPhone XS, XS Max or XR, the iPad Pro 11" and 12.9" speakers are definitely much better. 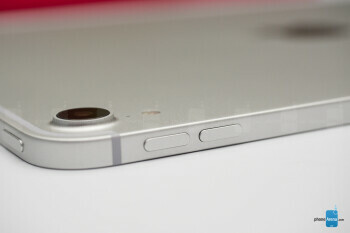 The other big change with this year's design is that there's no more Touch ID! Love it or hate it. The expansion of the screen and the thinning of the frame around it has led to the removal of the fingerprint sensor, now replaced by Face ID. 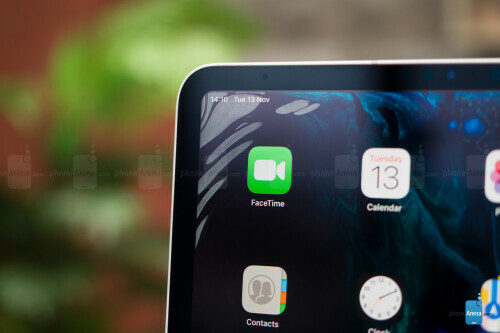 And because this is an iPad, Apple knows many people use the tablet in landscape orientation, so it has made the necessary upgrades to Face ID so it can work in all kinds of orientations (on iPhone it doesn't work if you hold the device in landscape). 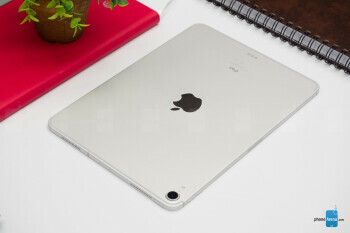 Two display sizes are available: 11" and 12.9". The 11" iPad Pro has the same dimensions as last year's 10.5" iPad, but the display has been enlarged to 11 inches to fill more of the front. The situation is different with the 12.9" iPad Pro, where the bezels have been reduced to end up with a slightly smaller device that still has a 12.9" display diagonal. The screens are LCD IPS and they are awesome. The resolution is just enough, and colors are, as with any modern Apple device, spot on. The star of the show here is the ProMotion technology, which means Apple has 120 Hz displays in these iPad Pros. And these 120 Hz displays make a world of difference when scrolling around or generally interacting with the iPad. Things move way more smoothly and fluidly compared on our good-old 60 Hz displays. This is the same technology that Apple has in last year's 10.5" iPad Pro, and honestly, we're surprised that the company hasn't implemented this in its iPhone line yet. Moving on, there's also the True Tone feature, which adjusts screen color temperature in real-time so that it matches your ambient light. That way the tablet can display realistic-looking colors that blend with your surroundings in a more natural way. This feature works great on the new iPad Pro 2018.
iOS 12 is a great platform for consumers, but it's not open or functional enough to accommodate all professionals. iOS 12 on the iPad diverges a little from iOS 12 on the iPhone, but just a little. There most significant 'upgrades' in the iPad experience are that you can utilize drag-and-drop in a variety of places in the system, and you can also use split screen multitasking. 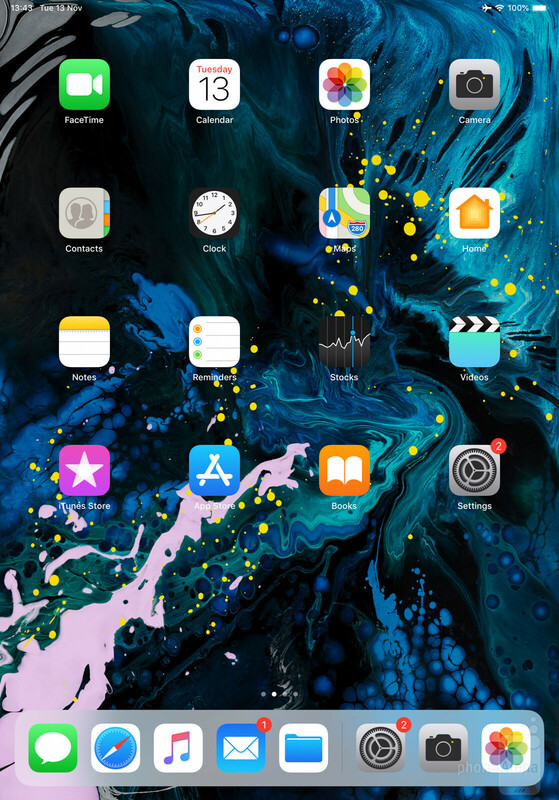 The latter works by dragging an app from the dock to the right or left of an already opened app – you can either engage true side-by-side multitasking, or having the second app appear over the already running app, for those occasions where you want to do or check something quickly and then discard the app. Aside from that, there don't seem to be any groundbreaking changes in the iOS 12 experience. The much bigger story with these new iPad Pros is the performance of the new A12X Bionic chipset. This is a more powerful version of the A12 that's in the iPhone XS, XS Max and XR, and Apple really wants to convince you that this is not some kind of a watered down, mobile-first chip. It wants you to know that it's a screamer that can handle notebook-level tasks, like running full-blown Photoshop, for example. And while it still can't do that, it will starting next year, when Adobe will release real Photoshop for the iPad. With powerful programs like this, the usefulness of the iPad is bound to skyrocket. The number of desktop class, full-featured games is also increasing, thanks to titles like Civilization VI, which is already available. 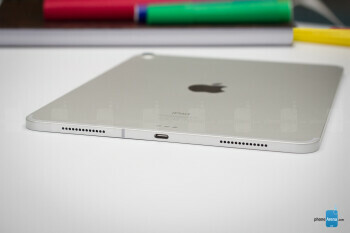 However, can the confines of iOS allow for a truly productive platform with all the freedom that creators need? We wouldn't be so sure yet. iOS is still a relatively closed environment, where everyone, both consumers and developers, are at the mercy of Apple. 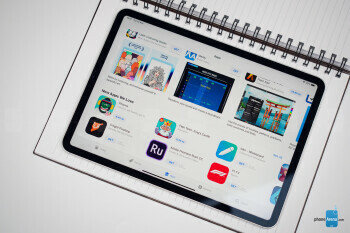 At least at this time, there's not enough freedom in interaction between apps and between devices, for the iPad Pro to become a truly professional-grade tool. 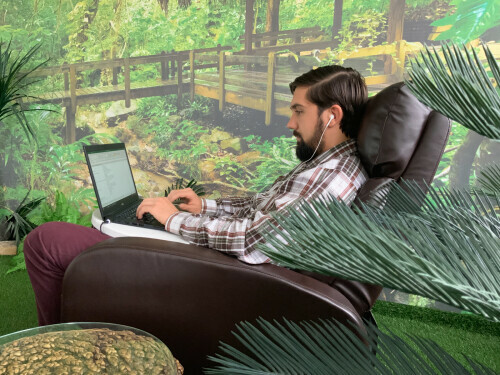 For now, it's stick in this strange middle ground between a consumer media device and something that can do work for you, but while it's already a great media device, it's potential as professional equipment is yet to be fully realized. Back to performance, this thing really screams! Apple claims the A12X Bionic is faster than what you get out of most notebooks sold between June 2017 and June 2018, and while we're not sure exactly how this conclusion was reached, we can attest to the iPad Pro 2018's stellar performance. Together with the amazing 120 Hz ProMotion display, it's amazing how nicely and smoothly everything moves. Our only hope is that developers will be faster at optimizing their apps and games to take advantage of the new chipset and ProMotion display. In addition to a cutting-edge processor, Apple can also load the iPad Pro 11" and 12.9" with up to 1TB (1000 GB) of storage. That's some pretty extreme stuff, but the prices are similarly extreme. For the more level-headed among us, Apple is also selling 64 GB, 256 GB, and 512 GB versions. As usual, you can choose between Wi-Fi-only and Wi-Fi + Cellular models. The difference is you can insert a SIM card into the latter and use cellular data. 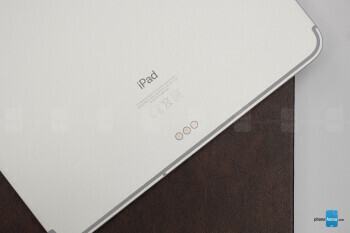 The iPad also comes with a new, three-dot connector on its back, which is used to connect to certain accessories like the new Smart Folio Keyboard. The keyboard's design is considerably more intuitive than that of the previous model. It's also more protective, as it covers the back of the tablet as well, but it's just not a very good keyboard, which kind of defeats the purpose of buying it. The trouble with it is that most keys work very well, but the space bar is a bit stiffer, requiring more force to press down compared to the rest of the keys. This turns out to be quite the inconvenience as far as the typing experience goes. An ingenious new feature is the new Apple Pencil, which has a more ergonomic design and can attached to the iPad Pro 11" or 12.9" through magnets. This action also engages wireless charing for the Pencil, which is a way more convenient solution that the previous generation, where you had to weirdly stick the old Pencil into the Lightning port of the tablet. It’ll never stop to be an occasion when someone pulls out their large iPad to take a photo, but that doesn’t prevent us from doing it nonetheless. 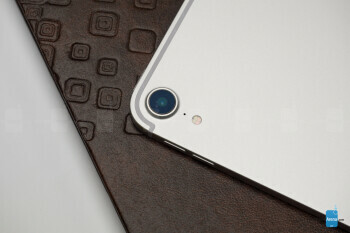 And because of that, Apple has made sure to upgrade the cameras in the new iPad Pro 11” and 12.9”. The rear camera is a 12 MP one that has a bunch of cool features like Smart HDR – also present in the iPhone XS, XS Max and XR. However, it strangely lacks Portrait Mode. 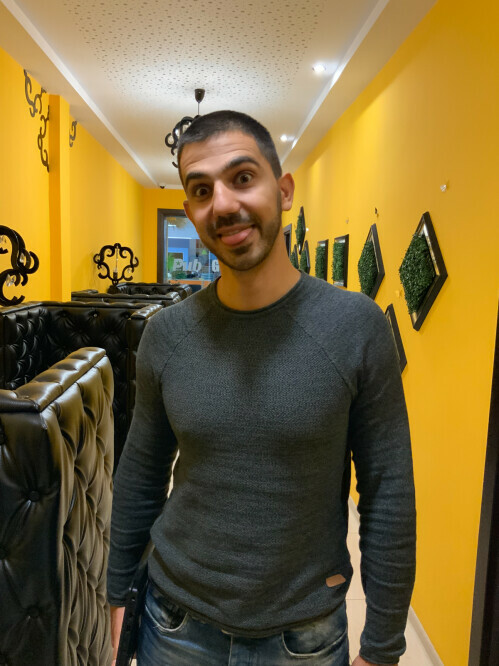 At least you get Portrait Mode with the front camera, which is TrueDepth with Face ID. It’s not the most convenient experience to take self portraits with the iPad Pro, but if you need the feature – it’s there, along with Depth Control, allowing you to change the amount of background blur before or after taking the shot. Quality-wise, images from both the rear and front cameras are pretty decent. 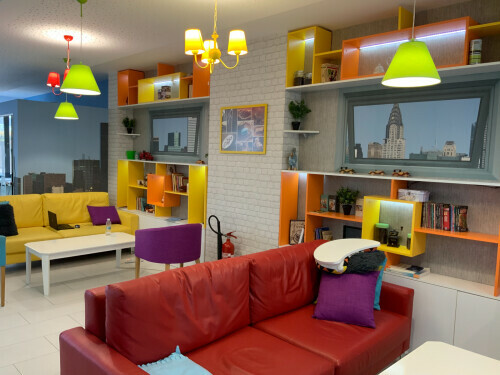 They don’t exactly wow with superb composure or punchy colors, but are high-quality enough to get the job done. Plus, Apple says the rear camera has been optimized for Augmented Reality experiences, and it worked very well in our testing, with 3D objects appearing quite stable. Video recording also works nice on the new iPad Pro 2018, albeit a bit disorienting in more dynamic scenarios, due to the large slate you have to hold in front of you. You can shoot video in up to 4K resolution and 60 fps, and it looks pretty great. Unfortunately, you can’t switch between the front and rear cameras while shooting video. We’ve also encountered some other inconveniences while using the iPad camera app. For an unknown reason, it in no way takes advantage of the large display, and it makes you scroll between the 5 or 6 camera modes that are available. It’d have been much better if they were all just immediately available to tap on – there is plenty of space! Moreover, should you switch to Portrait mode, the app automatically switches to the front camera, and there is no longer a button to rotate to the rear camera… If you want to get back to the rear camera, you need to switch to regular Photo mode, and then switch the cameras, which is quite unintuitive. The iPad Pro 11" and 12.9" 2018 are perfectly suited for media entertainment. The screens are very big, which is great for both movies and games. Of course, not only are they big, but their properties like the resolution and the color reproduction are top-notch. The quad-speaker setup is a perfect accompaniment to the gorgeous screen. As we noted already, the speakers output superb audio. It's definitely not hi-fi, but considering the super thin and compact nature of the tablet, it's impressive what kind of depth these speakers can deliver. For the gamers out there, the special treat in the iPad Pro 2018 is in the form of the new, 7-core GPU. Seriously, we're yet to find a game that can even put a dent in the performance – it's unwavering! 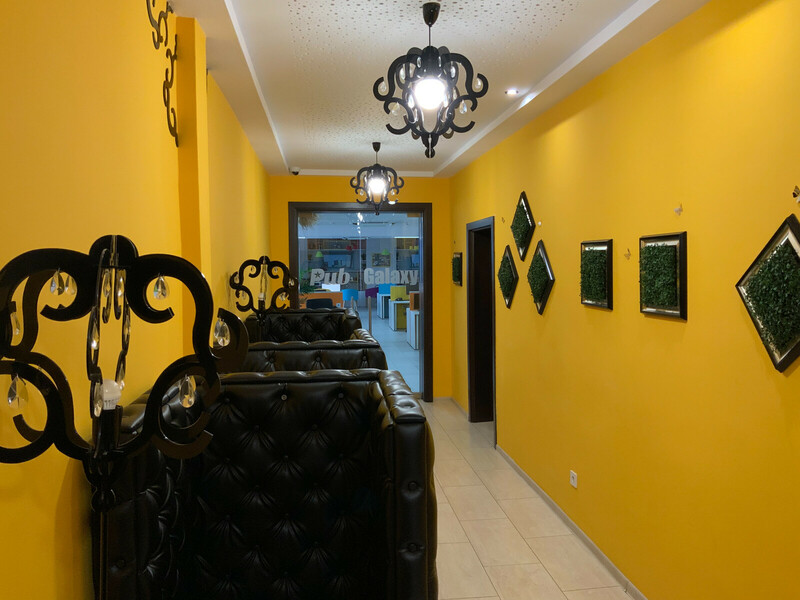 However, we also noticed that quite a few games, including high-profile ones like Hearthstone or Civilization VI don't use the hardware to its maximum, with Civilization in particular running in a very low resolution, definitely not Retina-quality. 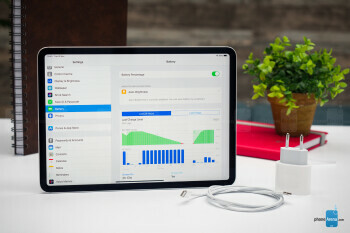 Apple continues to promise up to 10-hours battery life for a variety of activities, such as web browsing, video or music playback. In our custom battery test, it managed to score the impressive 11h 40 min. That’s markedly better than the result of the iPad Pro 10.5”, which was 10h 38 min. It’s also way better than the result of its closest competitor, the Samsung Galaxy Tab S4, which scored 7h 47 min. You can compare the battery life of the iPad Pro 11” to many other competitors in our Benchmarks tool. The bundled charger is nicely powerful, but it still takes three hours to fully charge the iPad Pro 11”. This may sound like a lot, but compared to previous iPads, it’s actually an improvement, by more than 20 minutes at that! It’s also slightly faster compared to the Galaxy Tab S4. Late last year, Apple ran an ad where a kid using an iPad Pro replied with "What's a computer?" to a question from her neighbor asking "What are you doing on your computer?". The ad seemed to stir the anger bucket somewhat at the time, as Apple dared to suggest that we're already living in that post-PC era it's been talking about since introducing the first iPad, but of course, we all know that isn't true. The more pressing question these days seems to be "What's a tablet?" 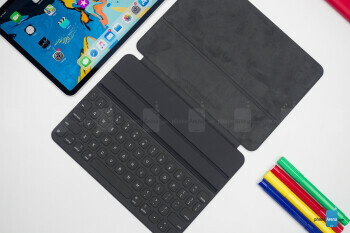 Now more than ever, the iPad is trying to compete with notebooks by introducing productivity features like the Apple Pencil, keyboard accessories, making sure it can connect with ecosystem devices, and delivering exceptional system performance. At the same time, the iOS 12 system, as powerful as it is, doesn't fully let the iPad Pro 11" and 12.9" become truly versatile computers. 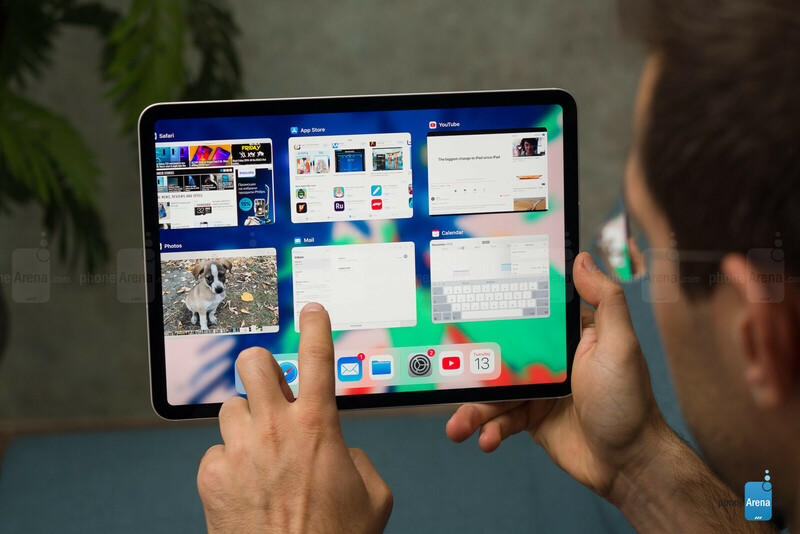 By keeping you stuck to the confines of apps and by being more closed and inflexible compared to a desktop-class operating system like macOS or Windows, the new iPad Pro still keeps its roots firmly into consumer territory, despite the Pro in the name. So, not merely an entertainment device and not really a workstation. It's this undecided space that the iPad Pro 2018 has to inhabit, until Apple finally decides if it's to send it one way or the other. Should it, though? The iPad Pro may be just fine as it is right now, as long as customers know what they are getting into. 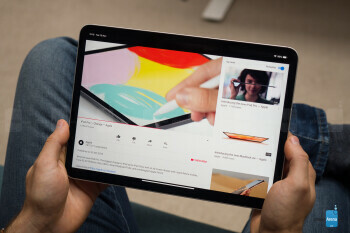 Unless all you do on your computer is to watch movies and browse Facebook, then sure, the iPad Pro can totally replace your PC. 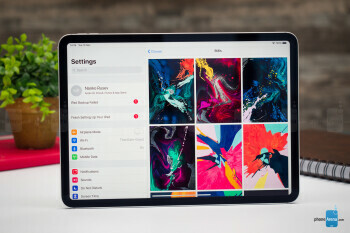 But any serious type of work you want to do on a computing device, you'll almost certainly be better off opening your notebook than picking up your iPad Pro.